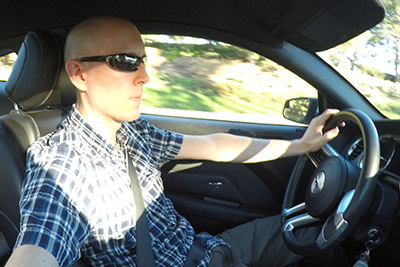 OK, I’ve got a question for all of you that is going to be a really good test of exactly who is and who is not a true driveandreview.com fan. 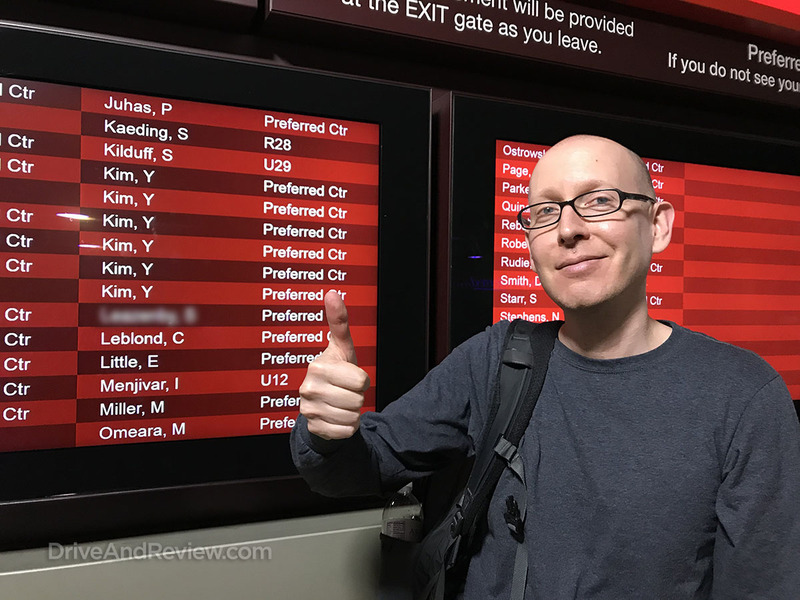 Not that I think that I have a lot of fans out there, but I’m hoping at least there’s one (maybe two) of you that have read more than one of my posts over the years. 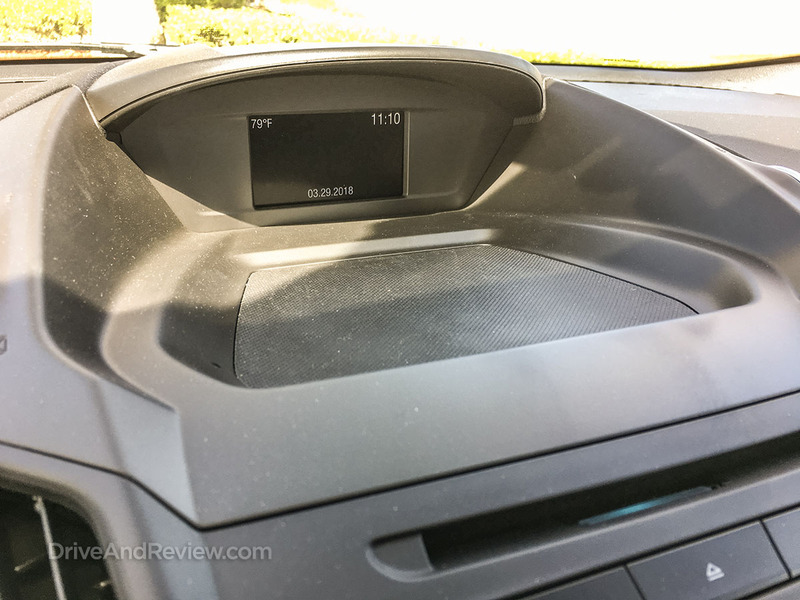 Here’s the question: Who can remember the quick review of a 2015 Ford Escape that I wrote several years ago? Anybody? Anybody at all? 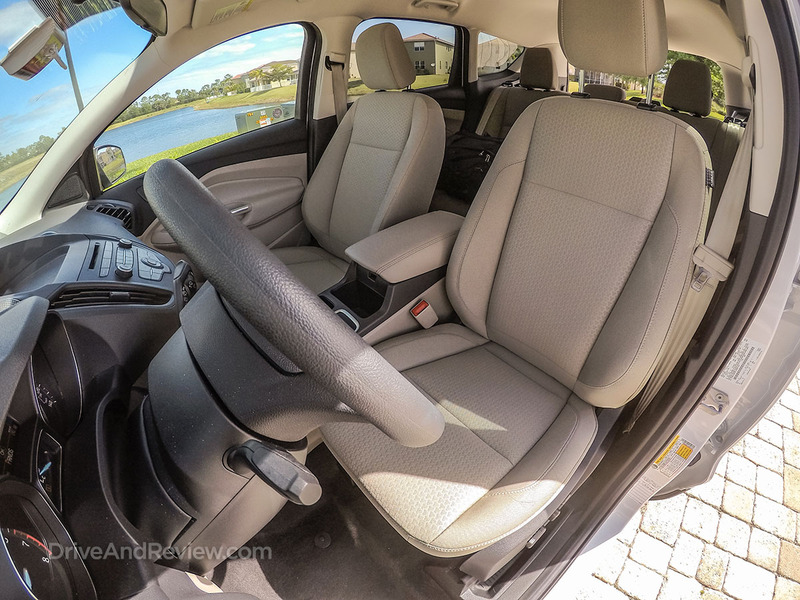 Actually, don’t feel bad if you can’t remember that post, because the truth is that I don’t remember it very clearly either and I actually had to go back and read it again before sitting down and writing this review of a 2018 Ford Escape that I rented from Avis in Florida several months ago. Yeah, I travel a lot and I feel like I’m getting pretty good at it now that I’m using cheapair.com for all my flight and rental car reservations (such as this one). Thinking back on it, I’m not even sure why I went with something as lowly as a Ford Escape when I saved enough money to have rented something a lot more interesting instead. I’ll be the first to admit that I’m not the worlds best writer, but in this case I’m confident enough to say that the fact that you don’t remember has nothing to do with me or my writing style. 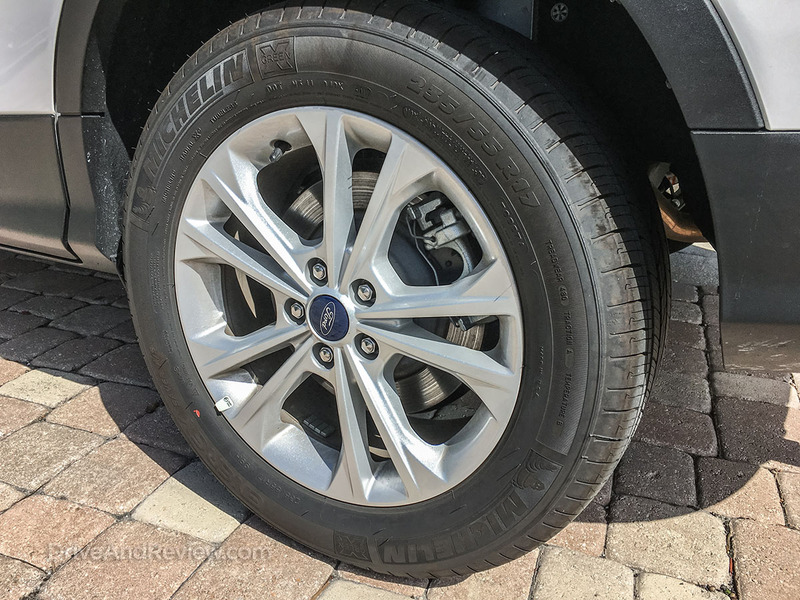 I’m putting all the blame directly on Ford, because it was them who produced such a generic vehicle which is nearly impossible to remember – even after driving it several hundred miles like I did way back in late 2015. I’m not saying that the Ford Escape is a bad vehicle. Hardly! I’m just saying that it doesn’t necessarily peg the needle into the red zone on the “holy crap that’s a cool car!” meter. Case in point: can you tell me (with any bit of accuracy) when the last time it was that you saw a late model Ford Escape? I’ll bet you can’t, but I’m also willing to bet that if you go outside right now, you won’t have to wait more than 30 seconds before one goes zipping by. 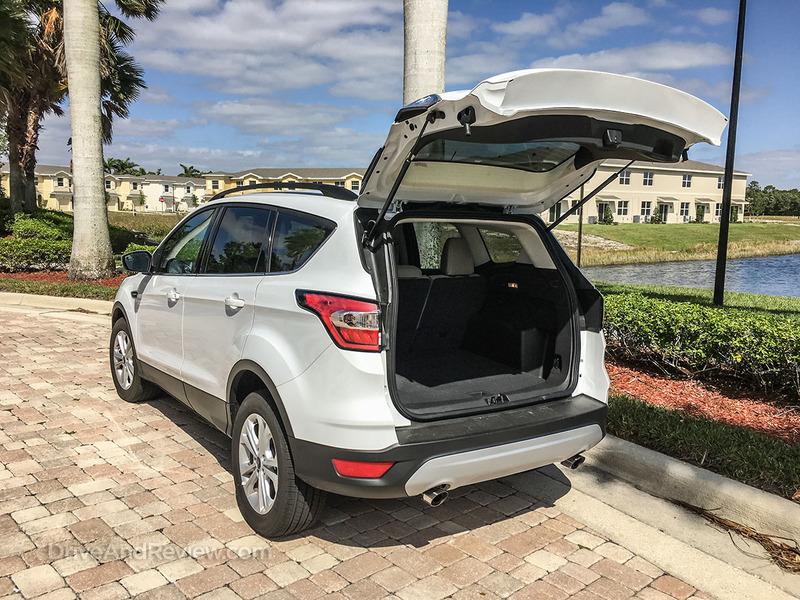 The Ford Escape is an extremely popular midsize SUV here in America, and a darn good one at that – they couldn’t have sold 308,269 of them in all of 2017 if it wasn’t! The problem is that they are just too darn generic and most of our brains just don’t have the extra space to hold data that boring and uninteresting. Mine sure doesn’t. I’m not going to lie when I say that I honestly couldn’t notice a difference between this 2018 version and the 2015 version as soon as I saw it parked there in the rental car parking facility at Orlando International airport. 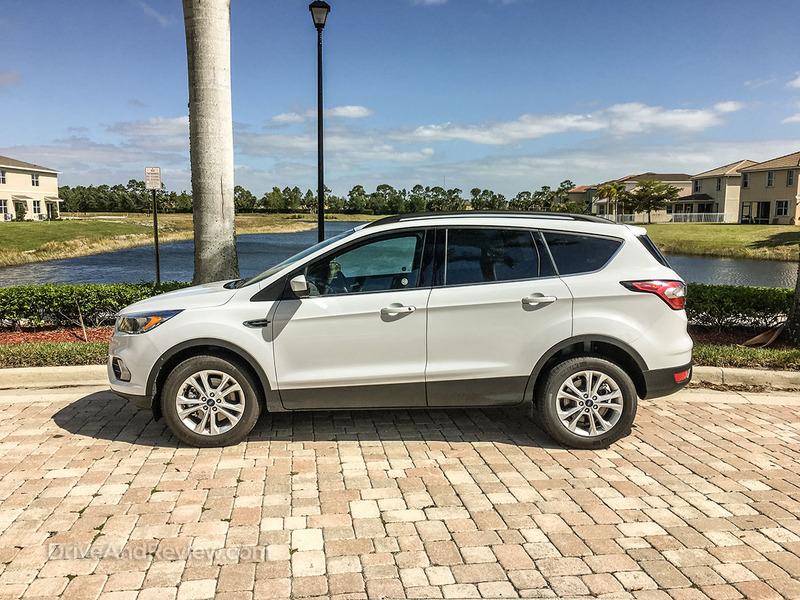 As far as I was concerned, it was a near identical version of the Escape that I rented in Minnesota way back in 2015, which bummed me out because I was hoping to write a very detailed review of a totally redesigned and all new vehicle for you here on the blog. It wasn’t until I returned home and compared the pics of the 2018 version to the 2015 version when I noticed some subtle differences. There she is! 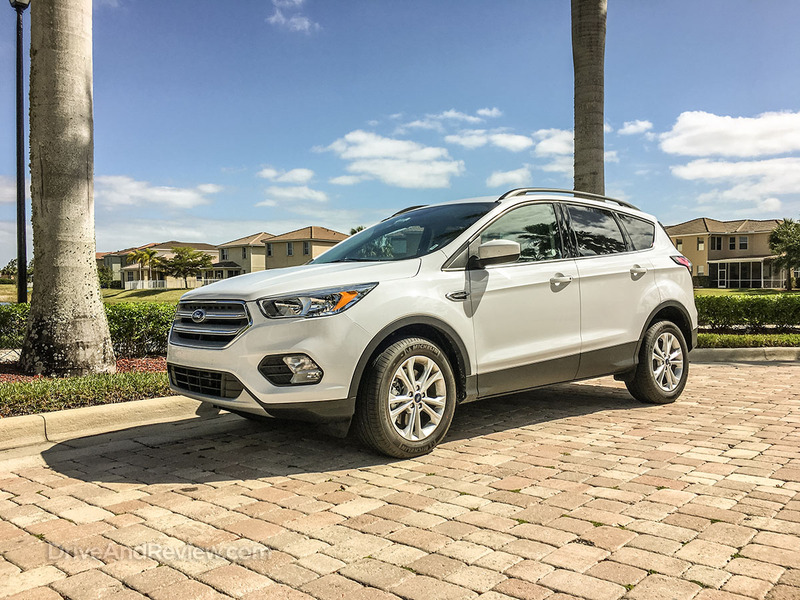 The 2015…I mean…the 2016…nono…the 2018 Ford Escape! From the side view, I honestly couldn’t tell any difference between this 2018 model and the 2015 that I drove a few years ago. I’m not saying that my memory is pathetic or anything, but still. The main difference is the redesign of the front end. The tail lights are different too, but it’s the front end which is different enough that when comparing the two side-by-side, it almost looks like a completely different vehicle. Never mind the fact that it looked completely identical to me when I stood there in the parking garage looking at for the first time. Seeing the pictures side-by-side makes it clear that the 2018 version is a much more subdued and mild design compared to the 2015. You’ve got to be a total car nerd (or a Ford employee) to spot the differences in the design of the front end of this 2018 model compared to the 2015. At first glance, those differences are slight! The changes to the rear end are even more slight. Anyone who is able to rattle off the differences without looking it up deserves “Car guy” or “Car Gal” status for life. Heck, you should get both of those statuses for knowing such obscure data such as that! If you want my opinion, I actually preferred the front end of the 2015 better than the smoother and more rounded version of the 2018. I know that looks are subjective though, so I’m not going to persuade you one way or the other. It’s up to you to decide which one you like best! 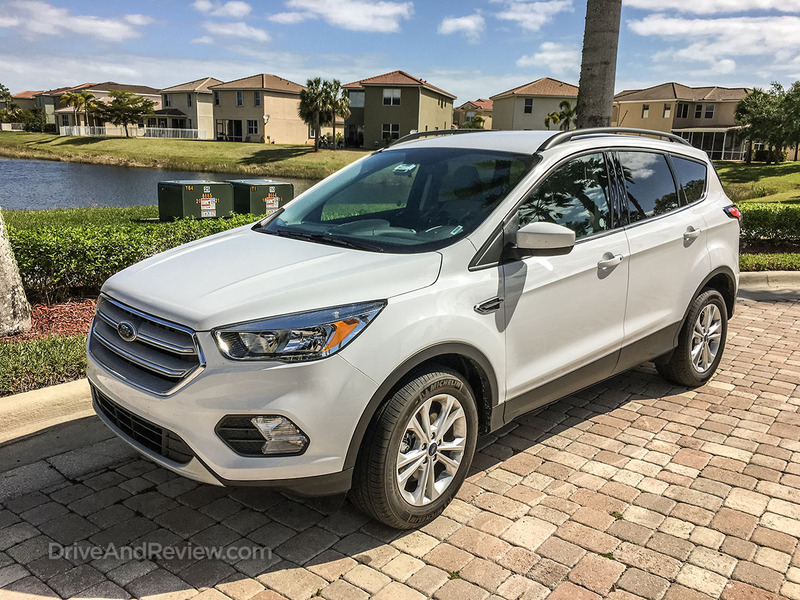 If you want my opinion, I think that the 2018 Ford Escape is a pretty good looking vehicle actually. Not too big, not too small – juuuuust right. I wouldn’t go as far as to say that it’s a really nice design either, but it doesn’t have to be considering what it is. And sorry Ford, little fender details like this vent don’t do much to increase the coolness factor at all. It’s still a bland SUV no matter how many silly decorations you add to it! I’m old enough to remember when 235/55R17 was a really aggressive and sporty tire size, found only on Corvettes and Porsches. Welcome to 2018! 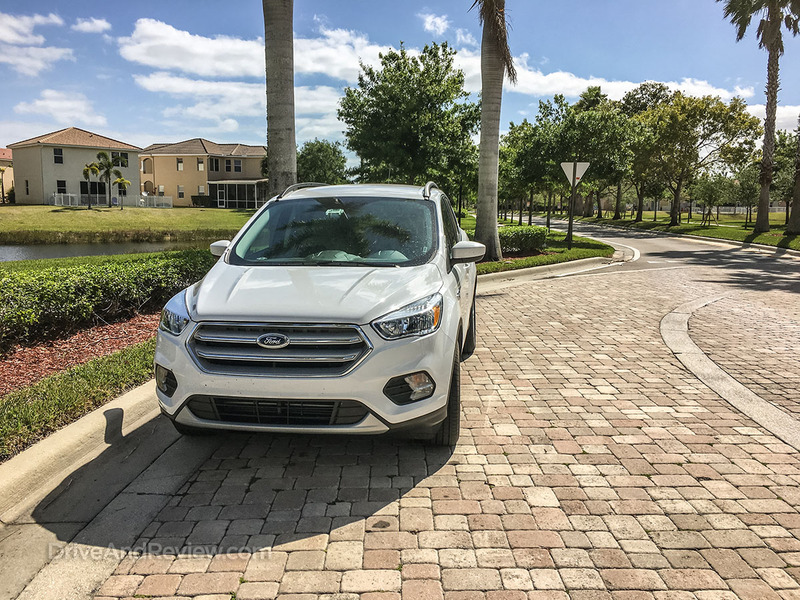 My only other first impression of the 2018 Ford Escape was feeling bummed about the fact that I was going to have to spend the next week and nearly 400 miles of driving with a very generic vehicle. That realization especially hurt when I saw rows of C7 Corvettes and Nissan 370 Zs parked one row over ready and waiting to be rented by guys like me who needed a little more excitement in their lives. I was here on family business though, so no sports cars for me – it was the Escape or nothing. I’m gonna start out this section by saying that people in Florida drive really fast. I mean, really fast. 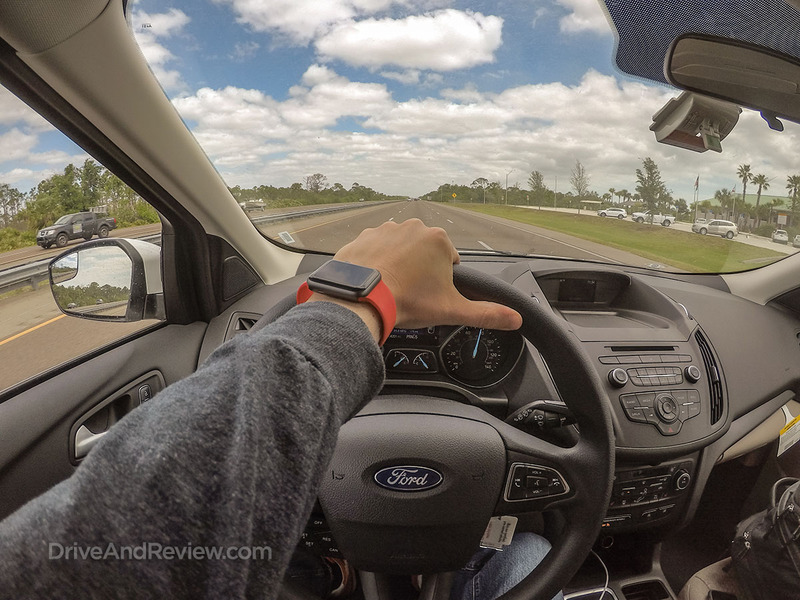 At home in San Diego, there’s usually so much traffic there’s no chance of ever going above 75 miles an hour – but here in Florida, people cruise along at 90mph like it’s nothing. 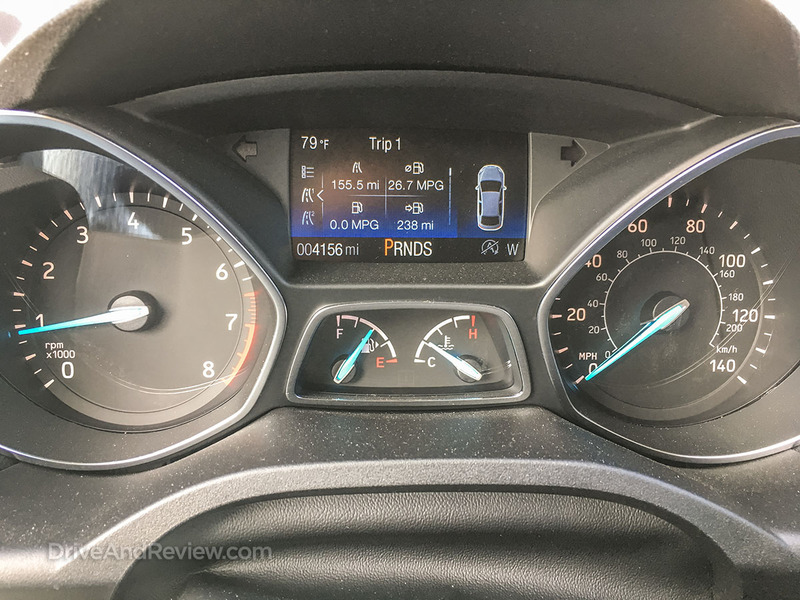 You’ll be happy to know that this 2018 Ford Escape with the 1.5L EcoBoost engine kept up with traffic nicely and there was more than one occasion when I was totally surprised when I looked down at the speedometer and saw how fast I was actually going. Compared to my Honda Fit (which feels like I’m going 300 miles an hour when I’m actually going 40), this Escape was butter smooth and was a really nice highway cruiser with plenty of power to spare. As nice as the Escape is, I still couldn’t help but to feel nervous that people were snickering at me as they drove by. This is about as bland as vehicles get! I also think it’s worth mentioning that even though this is classified as a SUV, it felt very car-like and at no point did I feel like it was top-heavy and clumsy around the corners. If you blindfold me forced me to drive down the road at 90 miles an hour (ha! ), I’m pretty sure that I’d be convinced that it was a car and not a truck. OK, it’s time to be honest again. 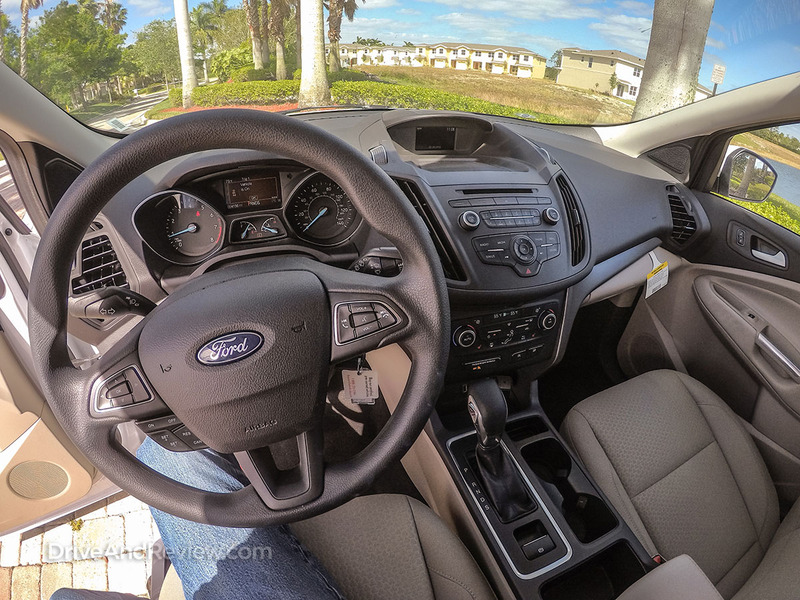 I liked the interior in the 2015 Ford Escape better. 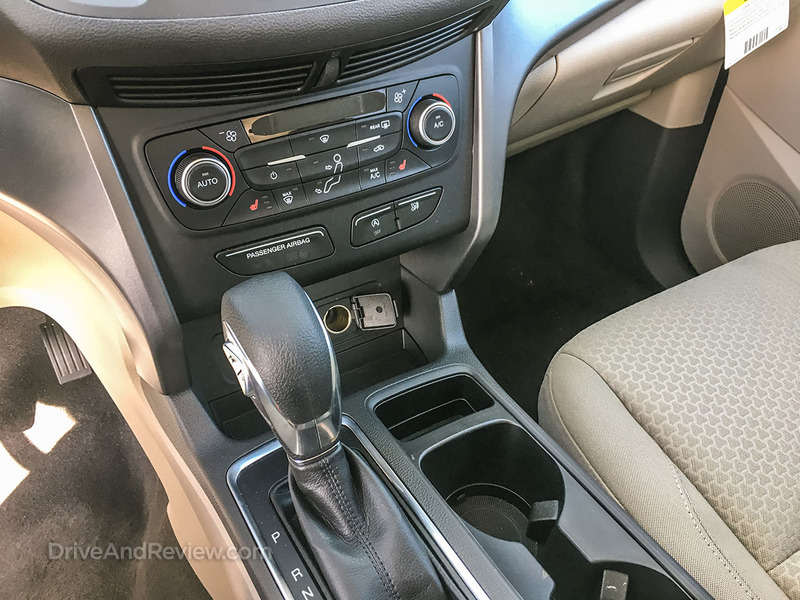 Not that there is a whole lot different with this 2018 model, but it is a lot less aggressively designed and a lot more sterile. 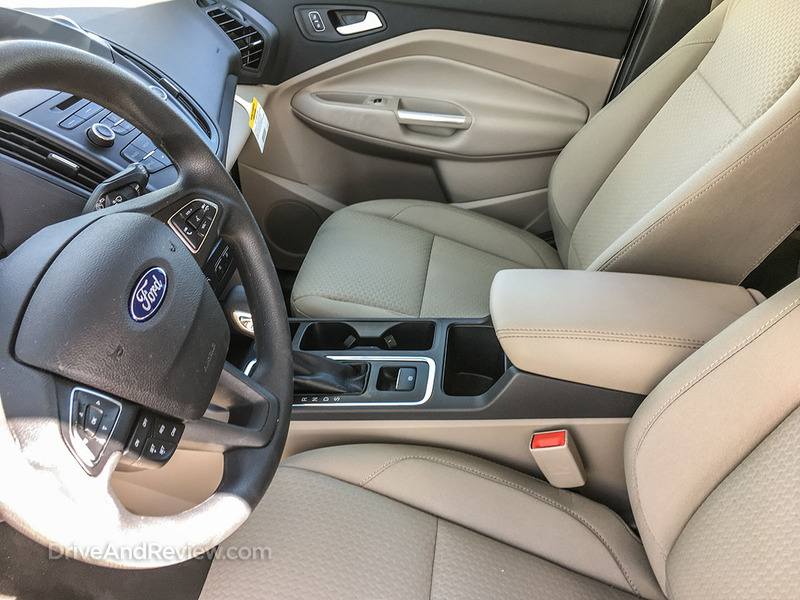 2018 Ford Escape interior. Ford, if you’re listening (and I know you’re not), I liked the 2015 version better! 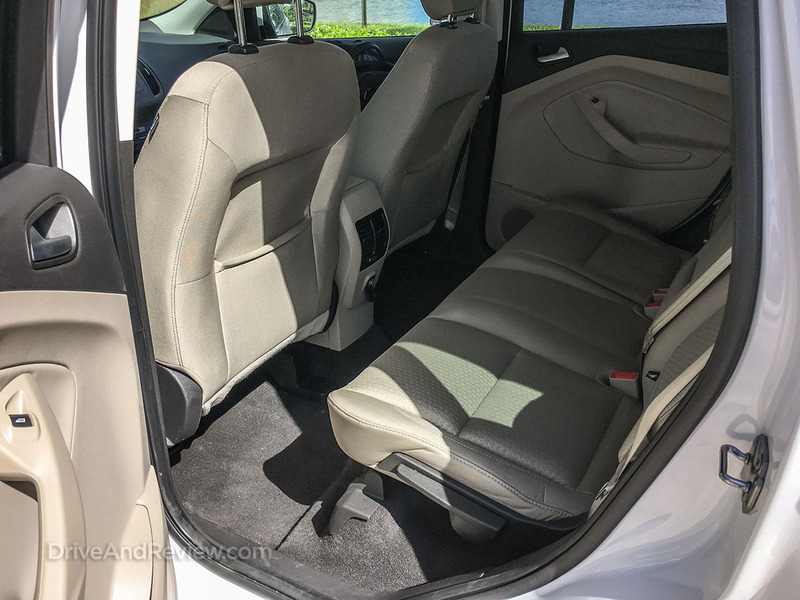 Not that I’m saying that I think that the Ford Escape needs to be really aggressive and sporty, but some deeper seats with better bolstering would have been nice to see (and feel). All nitpicking side, it’s actually a very nice and functional interior. Totally totally nice and functional the same way that a $12 toaster from Walmart is, but it’s still nice. 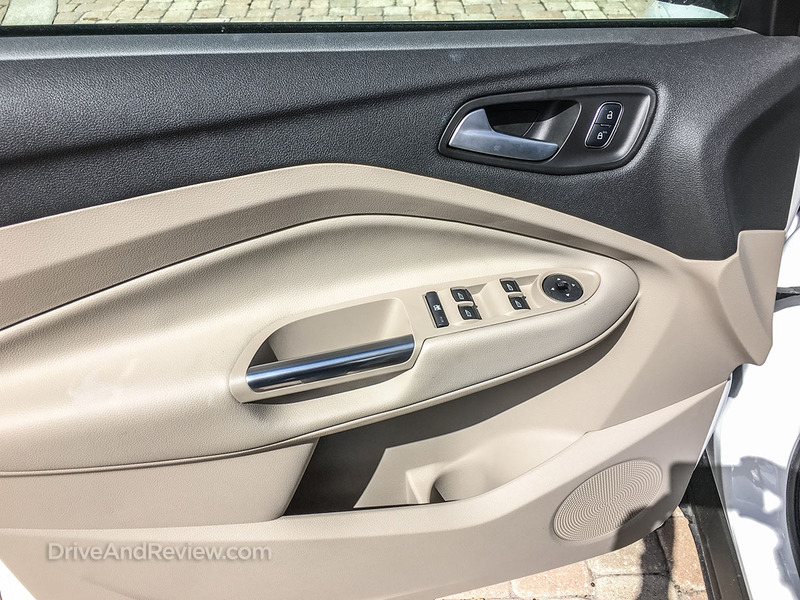 As much as I hate to say it, these front door panels are probably the nicest designed pieces in the car. They look great, and it’s a shame that everything else in here is so plain and bland. It’s like they got the interns to design the small details, and let the old crusty 30 year veteran designers do the rest. The center console. I’ll give you a minute to let out a really big yawn before we continue on with this review. Go ahead… I’ll wait. And continuing our way all the way up to the top of the dashboard, you’ll see this – a tiny screen letting you know how chilly it is in Florida this morning. A close-up of the steering wheel revealing not much of anything. A nice and comfortable steering wheel it is, but again, not very unique and interesting to look at. 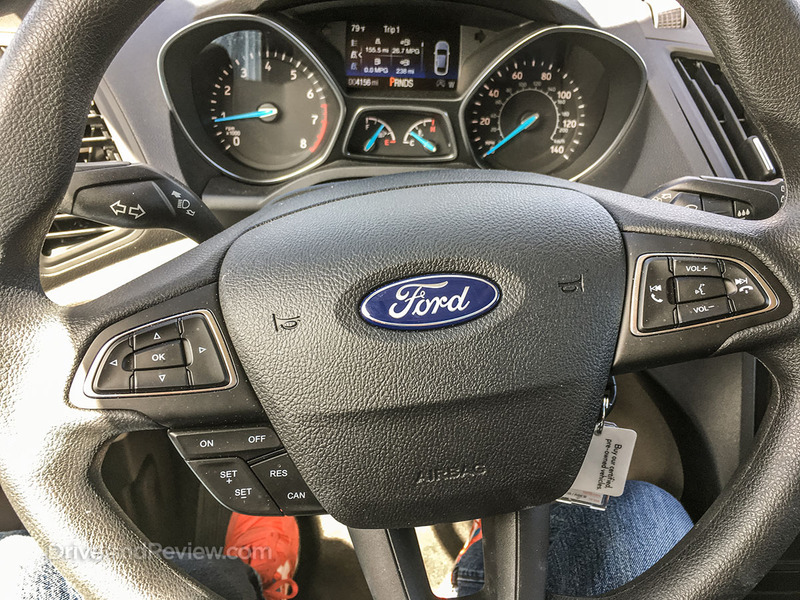 The gauge cluster of the 2018 ford escape. I think the far most interesting part of this pic is another thermometer reading a cool and brisk 79° (confirming that the other one wasn’t malfunctioning), which is just unheard of in Florida. That’s cold enough to make the locals want to break out the parkas! 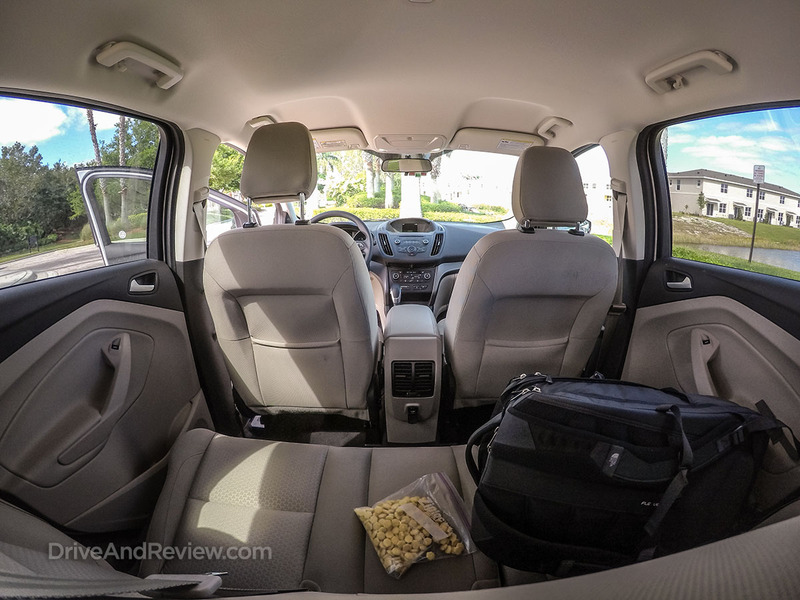 Let’s not forget about the backseat, as it’s a very important part of the 2018 Ford Escape. You may want to show this pic (and the next one) to your kids to get approval for the purchase of an Escape before you go ahead and sign the papers. Because if the kids ain’t happy, ain’t nobody happy! This is the view that your kids will have as they throw Cheerios at you and ask if we’re there yet. Storage space so deep that I was disappointed that I didn’t bring more than a backpack with me on this quick trip to Florida. As a 2012 Mustang GT driver, I would admit that I’m totally jealous of cargo space this vast. 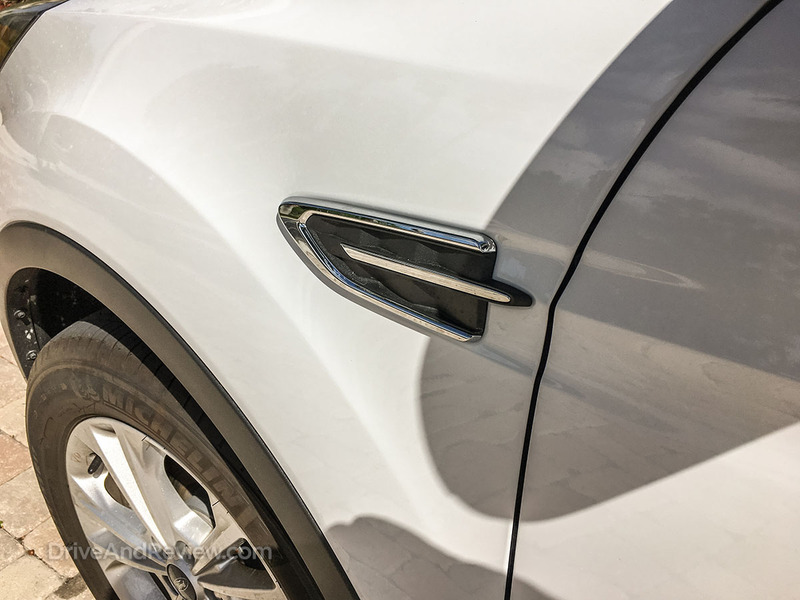 In Ford’s defense, I guess I can kind of understand why they chose to tone down the edginess of the styling on this 2018 Ford Escape. After all, I assume that the target buyer for one of these things is a mature adult who doesn’t really want something edgy and cool (not everybody is into flashy and cutting edge, and that’s ok). A simpler design with better ergonomics and usability has a heck of a lot more value to a mature audience than razor-sharp shapes and graphics designed for a younger generation. 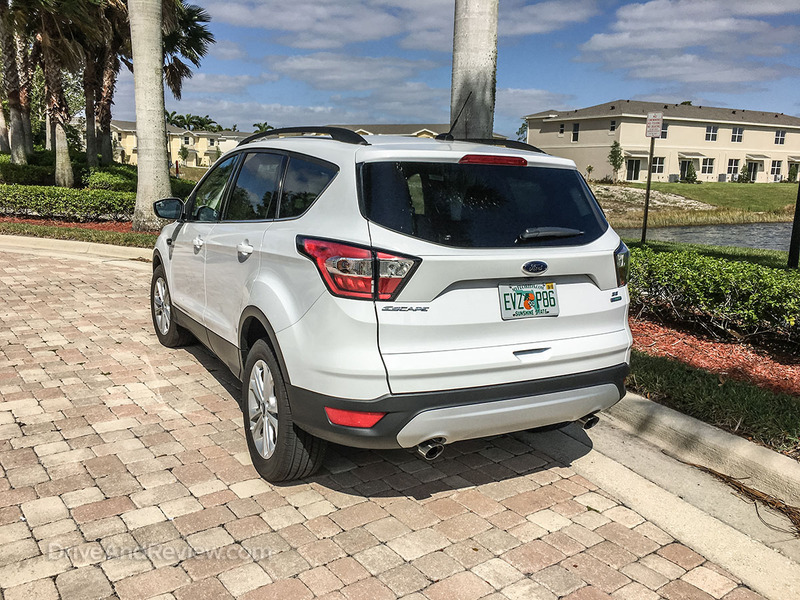 As I noted earlier, I spent exactly 5 days with this 2018 Ford Escape, driving a total of 412 miles. That was back in March of this year, and sitting here writing this review in late July has proven to be difficult without going back and looking at my notes and all of the pictures that I took. Without looking at all of those things that I scribbled down in my notebook (things like “god this thing is so bland”), would’ve been really hard for me to put this review together based on memory alone. However, despite what you might be expecting, I’m not going to end of this review on a negative tone. Nope. 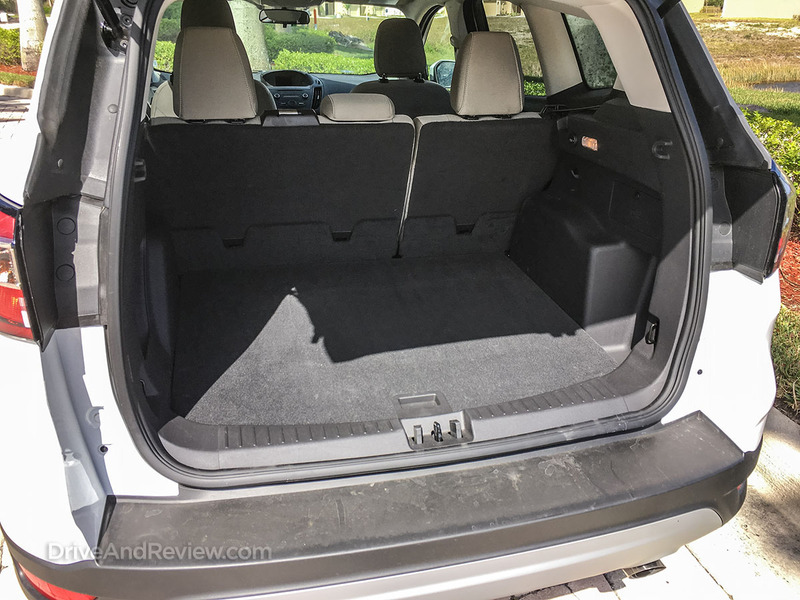 As much as I’ve complained about how bland the 2018 Ford Escape is inside and out, it’s actually what I consider to be the perfect vehicle for a young family in need of safe, solid, dependable, and comfortable transportation. In my mind it’s more like a tool that it is a car, and that’s a really good thing if you’re in the market for a vehicle which is going to make your life easier. 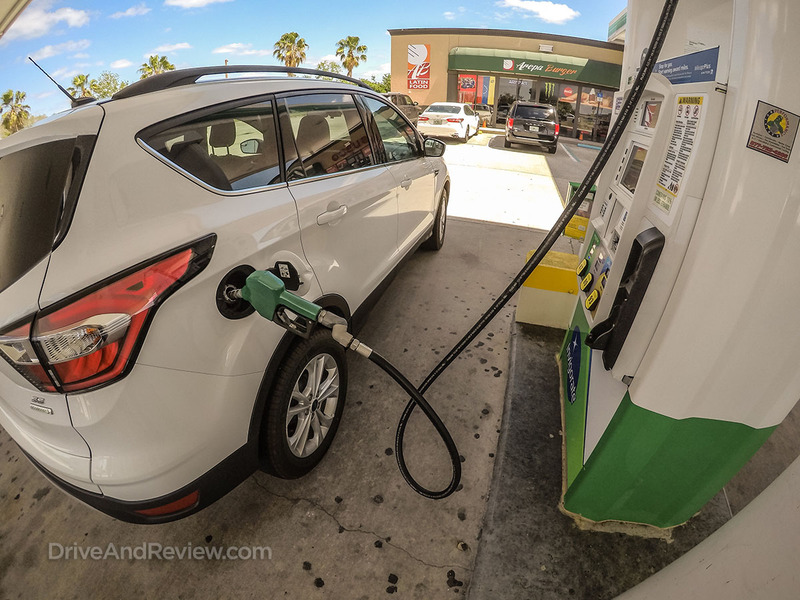 Filling her up just moments away before returning her to Avis here at the Orlando airport. It wasn’t my most exciting rental car experience I’ve ever had, but it was a good one and I can’t complain at all. 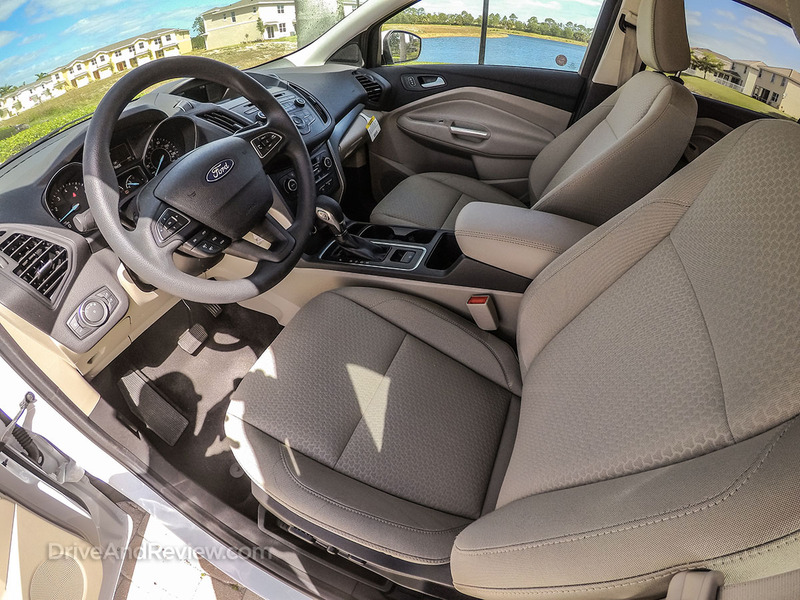 If you’re committed to buying a 2018 Ford Escape, you’ve made a good decision! My only recommendation is that you go for a color other than white or beige. Otherwise, you’re going to spend your entire life it wandering around parking lots not being able to remember where you parked and – having to Uber home instead. 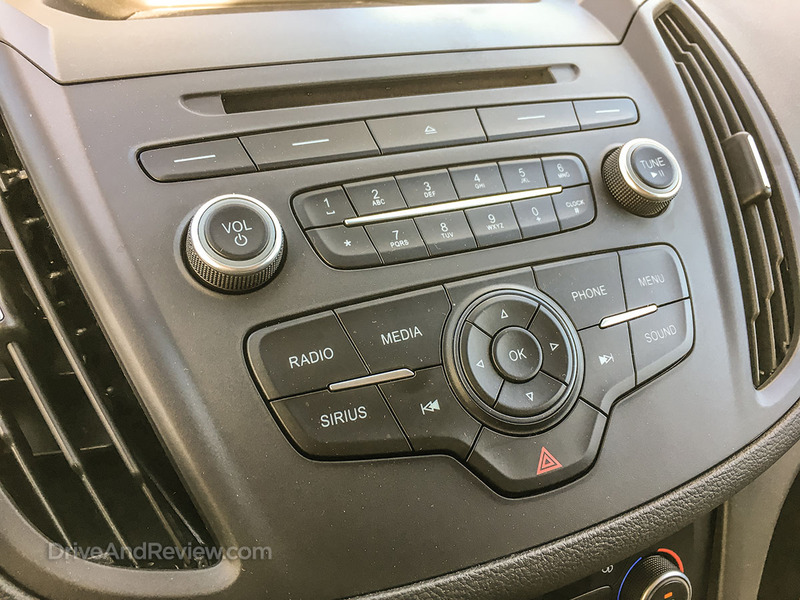 Quick review: Is it wrong that I really like the 2017 Mazda 3?